Welcome to Trinity School’s website – thank you for visiting us. 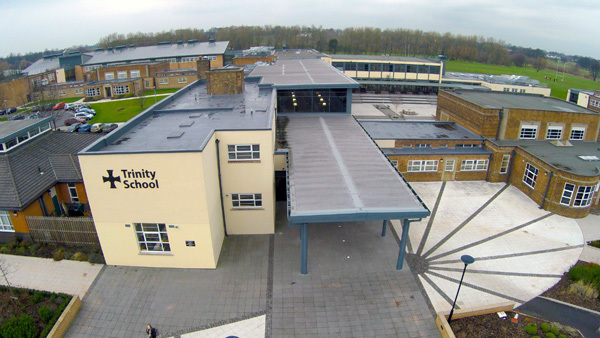 We are proud to serve as Co-Headteachers of Trinity School and to work in the service of this school community. It is a place of high standards, underpinned by distinctive Christian values. Responsibility for self and others is encouraged, and there are superb opportunities for all of our students to achieve very well indeed. Students are at the heart of all that we do at Trinity: their achievements academically, of course, but also their well-being and their wider development as well rounded individuals. We offer a broad range of curriculum choices and wider activities and visits, because we are a large and popular school. However, we try to behave as if we were a small village school where every individual is well known, supported and encouraged. We aim to make a difference to young people’s lives, to develop an awareness and respect for spiritual and moral values, so that they, in turn, can enrich the lives of others. We want our students to leave us with the values, knowledge and skills to lead a full and fulfilling life. You would be most welcome to pay us a real as well as a virtual visit. Trinity School has a long history: in 685 there was a school in Carlisle for Christians founded by St Cuthbert. It wasn’t Trinity, of course, but the plaque by the door of the Carliol building notes the tradition of learning, based on Christian teaching, which was established all those years ago. Trinity also has a short history: in 1968, it was formed when the Creighton and Margaret Sewell School joined with the Carlisle Grammar School. Even since then, there have been substantial changes to the buildings, and to our character, as we have become an Academy and the focus for Adult Education in the city. Although Trinity School is a relatively large school this brings with it great opportunities, for the range of subjects and activities that we can offer. It also brings home to us the importance of looking after each individual student, from the day of arrival. We do a great deal to make sure that each student does really well. This means that we monitor and encourage progress closely, and make sure that the partnership between the school and home works effectively. It is the cornerstone of our work. We see it as a privilege to look after and to educate the young people in our care. We are committed to simple policies – for example, there should be no bullying whatsoever in the school. If there is, we shall act quickly to put it right. We aim to be a happy and safe environment for all. We are proud of what we have achieved so far. We know how important it is that we continue to provide the best possible service that we can. We look forward to our partnership with you in the coming years. You can contact us at Trinity in a number of ways. When contacting the school it is helpful if you know who you wish to speak to. A full list of contacts can be viewed here. 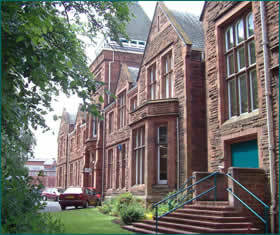 Trinity School, Strand Road, Carlisle, CA1 1JB. The Trinity School Prayer was written by students, with the help from Canon Michael Manley and the school chaplain. The prayer was commissioned by the Archbishop of York when he visited the school in January 2014 to celebrate the completion and the rebuilding of the 11-16 school.